Peter Swaab, 'Essay' [published in the volume]. John Ashbery, [mentioned in a list of English poets he reads] 'John Ashbery in Conversation: with David Herd', PN Review 99, vol. 21 no. 1, Sept-Oct 1994, p. 36. Jenny Stringer (ed. ), 'Peter Robinson', The Oxford Companion to Twentieth-Century Literature (Oxford: Oxford University Press, 1996), p. 576. Sumie Okada, 'Peter Robinson: a sense of being misplaced', Western Writers in Japan (Basingstoke: Macmillan, 1999), pp. 13, 87-9, 139-144. Kevin Jackson, Invisible Forms: A Guide to Literary Curiosities (London: Picador, 1999), pp. 75, 174. Arthur Aughey, 'De-anglicising England', Thumbscrew no. 19, Autumn, pp. 41-4. Kelvin Corcoran, Notes and Queries new series vol. 48 no. 4, December 2001, pp. 459-60. Julian Cowley, Modern Languages Review vol. 97 no. 2, 2002, pp. 409-10. Stan Smith, Review of English Studies vol. 53 no. 3, pp. 466-7. Ra Page, ‘Catching a Glimpse’, City Life 2 May 2001, p. 81. James Sutherland-Smith, ‘Trompe l’oreille’, PN Review 141, vol. 28 no. 1, Sept-Oct 2001, pp. 63-4. Jules Smith, Short Notices, Times Literary Supplement no. 5142, 19 October 2001, p. 31. Jonathan Ellis, ‘Out of Time’, Metre no. 11, Winter 2001-2, pp. 23-5. Kate Price, ‘The Reader Reviews’, The Reader no. 10, April 2002, pp. 88-90. Glyn Pursglove, ‘Poetry Comment’, Acumen no. 43, May 2002, p. 122-3. John Redmond, ‘A Walk Through the Woods’, Poetry Review vol. 92 no. 3, Autumn 2002, pp. 109-10. Peter Carpenter, ‘True Colors’, Notre Dame Review no. 15, Winter 2003, pp. 162-5. William Wootton, ‘About Time Too’, The Cambridge Quarterly vol. 31 no. 3, pp. 282-92. Adam Piette, 'The Practice of Poetry: Rhyme' [discussion of 'An Air'], The Reader no. 9, Oct 2001, pp. 41-3. 'Douglas Dunn writes...', Poetry Book Society Bulletin Spring 2002, p. 22. Glyn Pursglove, 'Poetry Comment', Acumen no. 43, May 2002, p. 122-3. Peter McDonald, 'Poems that growl in zoos', TLS no. 5176, 14 June 2002, p. 25. Andrea Brady, 'Out of This World', Poetry Review vol. 92 no. 4, Winter 2002-3, pp. 96-99. Alan Munton, Modern Language Review vol. 99 no. 1, January 2004, pp. 150-51. Steve Clark, Studies in English Literature (Tokyo), March 2005, pp.199-207. Steven Waling, City Life March 2003, p. 63. 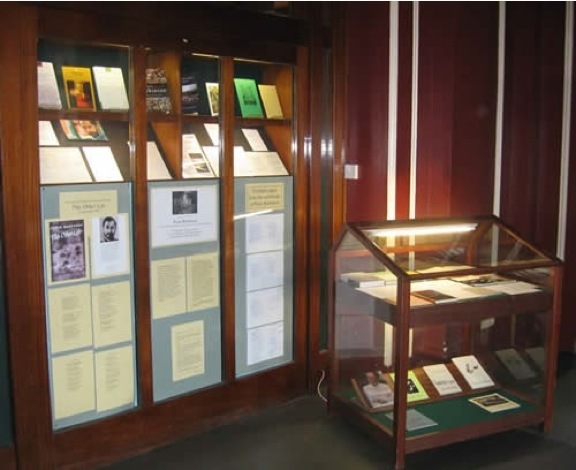 Jules Smith, 'Home for Memories', Times Literary Supplement 1 August 2003, p. [ ]. David Burleigh, 'Out of the Ordinary', The Japan Times 19 [Online] and 20 October 2003, p. [ ]. Patrick McGuinness, 'All Forms Filled In', Poetry Review Winter 2005, pp. [ ]. cited by Denis O'Driscoll in 'Pickings and Choosings', Poetry Ireland Review no. 82, March 2005, pp. 115, 117, 120. Giuseppe Marchetti, ‘Quanto mondo in via Sauro’ Gazzetta di Parma Wednesday 1 September 2004. Emily Taylor Merriman, ‘Limits as Power’, Essays in Criticism Vol. 56, No. 2, April 2006, pp. 209-17. 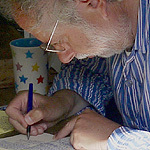 Rainer Emig, Anglia - Zeitschrift für englische Philologie Volume 126, Issue 1, July 2008, pp. 176–77. Gareth Reeves, Modern Philology November 2008, Vol. 106, No. 2: pp. 363-366. Adrian Tahourdin, ‘In Paris’s River’, Times Literary Supplement no. 5504, September 26, p. 29. Ian Brinton, British Poetry since 1990 (Cambridge: Cambridge University Press).